Accounting system holding your business back? The challenges faced by today’s wholesale & distribution companies are numerous and ever-changing. Stock must be accurately managed, costs kept low and prices maintained to improve margin, and customers must be serviced to the highest levels to ensure their increasing expectations are met. All this whilst your market becomes more competitive by the day. Increase customer satisfaction through faster and more accurate order processing. Manufacturers and suppliers in the food and beverages industry must adhere to a large number of GMP guidelines and compliance standards. At the same time, food and beverage producers must battle increasing costs caused by continuing expansion and changes in the production and supply chain, with customers constantly demanding new flavors and mixed drinks. According to a current KPMG survey, 28% of companies in the food and beverages industry want to invest more in growth. In order to scale their ERP systems to their expansion plans, they require flexibly expandable solutions. Increasing productivity is another important topic among those surveyed, with almost half of companies seeking more effective and efficient supply chains. These companies are therefore planning to optimize their SCM, as well as their production and other business processes. SAP Business One for Food & Beverage is helping companies improve business and master specific challenges in this industry; for instance increased consumer awareness over food safety, stringent government regulations or supporting specialized manufacturing processes of product categories. SAP Business One for Food & Beverage is based on SAP Business One. In order to cover the current, specific requirements of the food and beverage industry, the ERP system expands the SAP solution to include industry-specific functions. These include regulated, efficient and scaleable production processes, as well as monitoring and documentation processes. Convenient cost calculation per article, production order and batch, flexible multi-level margin calculation, etc. Easy integration of subsystems like SCADA, LIMS etc. As an end-to-end solution provider ACEteK Software can manage everything required for SAP Business One. The mechanical engineering industry is experiencing global annual growth. Service providers in the machinery and components sector must, however, take into account a whole range of regulatory standards, including ISO standards. It is, for example, important for mechanical components to withstand a great deal of strain and for pressure vessels to conform to safety requirements. In addition, companies must be able to produce products efficiently and consistently. A flexible ERP system takes into account all these factors while helping companies to save production and supply chain costs. Cross-industry trends have global effects on the machinery and components industry: environmental awareness and scarcity of resources are changing production processes; fluctuations in international trade and economic systems require flexibility; growth and competition are increasing. In order for companies to maintain their share of the global market, they must be able to hold their own against business from newly industrialized countries like China. Production is increasingly being outsourced to countries with lower labour costs, and changes in these areas can influence manufacturing, production logistics, and the supply chain. Companies therefore need ERP systems that can quickly incorporate new requirements. SAP Business One for Machinery and Components is based on SAP Business One and expands the solution to include industry-specific functions, including regulated business processes. A project cockpit, for example, makes documentation and monitoring clearer and more convenient. Easy integration of subsystems like CAD/PLM, machinery (PLC), pattern optimization. Customers expect superior service. If they don’t get it from you, they will go elsewhere. Better, faster, more efficient field sales & service is the key success factor to keeping your client base happy, and winning new business. It’s impossible to account for everything when scheduling sales & service calls and your technicians manually; SAP Business One for Field Sales & Service Automation makes it easy. Eliminate return visits and no-shows by improving service information management: cut costs and improve customer loyalty and satisfaction. SAP Business One for Field Sales & Service Automation enables optimization of every facet of service delivery. With SAP Business One for Field Sales & Service Automation your employees have all relevant information such as service orders, client details, and installed equipment at their fingertips – on and offline. Every activity or task can be guided and documented with dynamic checklists. Capturing time and materials on the go becomes easy. Finalizing a service assignment is simple and efficient with a streamlined checkout process and automated service reports. With the push of a button, employees synchronize all information to the enterprise backend systems. Service orders raised via phone, web interface, or email are managed in the service center. Scheduled installations and maintenance tasks can be handled in the same intuitive web interface where you can effortlessly assign service orders to your field service team. The checklist designer allows you to define checklists and easily deploy them to the field service employees. This empowers you to drive the standardization of processes and procedures across the whole organization. It is a straightforward way for you to provide guidance, work instructions, compliance and quality. Many high profile retailers use SAP Business One for Retail to manage their operations, from their retail outlets to their back offices. SAP Business One for Retail is a feature rich point of sale solution that is fully integrated with SAP Business One. It is a fast, dependable and powerful, with an easy to use keyboard or touchscreen operated user interface. SAP Business One for Retail is the execution point for configurations done at the Head Office which include pricing, discounts, promotions, tender types, layaways, and returns. Terminal POS is the traditional POS application packed with multitude of features and is the execution point for configurations done at the Head Office which include pricing, discounts, promotions, tender types, layaways, and returns. Mobile POS, as the name suggests is a POS which operates on a handheld device like an iPhone or iPad or select models of Android tablets. SAP Business One for Mobile POS can be configured as an in-store POS connecting to the Store Server over a WiFi connection. SAP Business One for Mobile POS when used outside the store can either connect to the Store Server OR can directly connect to the Enterprise Server at the Head Office. Mobile POS brings the power and effectiveness of a traditional POS to a mobile device and helps retailers enhance customer experience, maximize the real estate in the store and enhance retail footprint by its ability to integrate directly to the Enterprise Server. The Handheld module in SAP Business One for Retail allows users to manage store inventory using a handheld device running Windows Mobile OS version 6.0 or 6.5. Transactions such as Good Receipt PO, Stock Transfer Shipment & Receipt, Goods Issue & Receipt, Goods Return to Vendor, Stock Take, item Lookup can be performed using the handheld device. SMS integration in SAP Business One for Retail has been incorporated with the aim of benefiting retailers and their customers. Retailers can now send SMS notifications to their registered customers. This is in addition to the email notifications that can be sent out from the application. Retailers can also SMS specific keywords to the application to receive configured reports via email. A Merchandise Hierarchy is a reporting structure under which sales and inventories of products are tracked and managed. The function of the merchandise hierarchy is to categorize products into manageable levels for effective planning and reporting. Merchandise hierarchy has multiple levels with the highest level providing an overall enterprise view and then narrowing down to families or classes of products. Executing Replenishment Planning process generates stock movement recommendations to replenish warehouses or stores by purchase orders or stock transfers. Replenishment Planning calculates gross requirements based on In-Stock Quantity, Open Sales Orders, Open Purchase Orders, Forecasts, Stock Transfer Shipments, Stock Transfer Requests, etc. The Replenishment Planning also takes into account predefined planning parameters such as Minimum Inventory, Minimum Order Quantity and the Lead Time. A central activity in any retail organization, sales forecast enables the retailer to take informed business decisions regarding inventory, cash flow or plan for growth. Forecasting in SAP Business One for Retail provides a wide range of forecasting models with an automatic “best pick” option. Forecasts can be generated based on product, product group, product categories and merchandise hierarchy. Furthermore the forecast can be consumed in Replenishment Planning calculations. SAP Business One for Retail Dashboard Designer allows creation of fully interactive business intelligence dashboards for SAP Business One for Retail users. Dashboards include a completely optimized drag and drop feature for faster creation of dashboards. These dashboards created can either be viewed from within SAP Business One for Retail Management Console or viewed in any standard browser using the SAP Business One for Retail web viewer. With Dashboards, interactive drill down reports can also be created which can be viewed using a web browser. SAP Business One for Retail delivers complete visibility across retail chain. POS operators can view entire stock across stores or at the main warehouse/distribution center at the POS. In the unlikely event of stock outs, POS operators can put items on order and fulfill them from other stores or at a later date by replenishing stock from the distribution center. SAP Business One is an ideal solution for multinationals / large enterprises who wish to roll out a standardised, fully integrated ERP solution to its subsidiaries. Over 350 household names such as L’Oreal, Jaguar Landrover, and JCB already use SAP Business One to manage the operations of their subsidiaries and supply chain. Companies in the chemical & pharmaceutical industries must adhere to countless regulatory standards (EMA, FDA, BRC, IFR, GHS etc. ), as well as GMP guidelines. In addition, cost pressure is increasing all the time. Small to mid-sized companies therefore require ERP systems that allow them to model all legal and GMP regulations while designing more efficient production processes, logistics, and supply chain management (SCM). Seamless integration of subsystems like SCADA, LIMS etc. The metal processing industry must fulfill numerous regulatory standards—including, for example, ISO standards. Following the economic collapse of 2008/09, the industry is experiencing a revival, but production conditions have changed in the meantime. In order to enable efficient, sustainable production and supply chain management, companies in the metal processing industry need ERP systems that can be rapidly aligned to the economic climate and new requirements. Millions of jobs, new competitors, and demands for life cycle assessment shape and change the global steel industry. According to a study, corporate growth depends particularly on both innovation and investment in research and development. In two-thirds of companies, the working conditions have changed due to technological advances. 96% of those surveyed, however, still consider process optimization either important or very important. In order for them to remain competitive, trends and technical changes must be rapidly implemented. A flexible ERP system takes into account all these factors and helps to minimize the time and expense involved in production, production logistics, and the supply chain. SAP Business One for Metal Processing has expanded SAP Business One to include industry-specific functions. The solution helps companies in metal processing to implement officially regulated business processes, as well as to make production and supply change management processes more efficient and flexible. Medical devices and components are subject to extremely strict regulation, for example, by the FDA (UDI regulation) and must adhere to ISO standards. According to an INEMI study, around one-fifth of the OEMs and 60 percent of the vendors surveyed are not informed of official requirements for medical products. Companies involved in the medical technology industry therefore need ERP systems that model production processes and supply chain management (SCM) more clearly, support existing ISO standards and regulations, and allow new standards to be rapidly integrated. The market for medical devices is growing. This is due to advances in medical technology, as well as demographic shifts and expanded health concepts that include greater quality of life. New trends must also be flexibly modeled in the supply chain. The biocompatibility of medical products is another important factor. ERP systems must therefore be able to rapidly integrate changes in technology or new standards. SAP Business One for Medical Devices & Components expands SAP Business One to include industry-specific functions like officially regulated business processes. The ERP system supports companies in designing production and supply chain management securely, efficiently and flexibly. High-tech products and electronic articles are subject to numerous regulatory standards, including specific ISO standards. When it comes to electronic devices, consumers must be able to use them reliably and unrestricted for long periods of time. Companies in this industry need IT systems that improve business processes, production processes and supply chain management (SCM), while taking into account industry-specific requirements. At conferences and trade shows like the CeBIT or CES, wearables are an increasingly important topic. These devices are networked, worn on the body and transmit values including vital statistics. Various industry branches are currently developing these for a variety of application areas. A recent Fortune survey carried out at the CES, however, revealed that improved battery technology is much more important to customers than, for example, new electronic devices. In order to accommodate these market developments, companies from the high-tech and electronics industries need efficient and flexible ERP systems that allow them to rapidly adjust their production and business processes. SAP Business One for High-Tech & Electronics is based on SAP Business One and expands the solution by adding industry-specific functions. The various modules facilitate and expedite production and other business processes and provide a comprehensive project overview. In addition, they provide background and information to enable ISO standards and GMP guidelines to be more effectively fulfilled. Packaging, as well as its contents, must meet the demands of customers and vendors. The current trend is toward environmentally sustainable solutions, like shelf-ready packaging solutions (shelf-ready packaging printed with advertising), bioplastics, or self-adhesive linerless labels. Trends and technical changes must be rapidly implemented in order for companies to remain competitive. A flexible ERP system takes into account all these factors and helps save on production and supply chain costs. SAP Business One for Packaging Industry expands SAP Business One to include industry-specific functions like officially regulated business processes. It also supports packaging companies in creating more efficient and flexible production, logistics and supply chain management processes. Plastics are used in a great many industries, and plastics manufacturers must take into account regulatory standards for those industries, including ISO or GMP guidelines. In waste management, too, the industry must develop forward-looking regulations and processes. In order to adjust rapidly to new market developments, companies in the plastics processing industry need flexible ERP systems that shape production processes and supply chain management (SCM) more efficiently, support existing laws and standards, and allow the rapid integration of new trends. The increased use of plastics in other industries means that the plastics industry functions as a multiplier. A study shows that capital growth of 10% in EU plastics production means 4.4% growth in all other European manufacturing industries. New developments like 3D printing, bioplastics or lightweight production in the automotive industry are also intended to save valuable resources. Production procedures, logistics processes, supply chain management and ERP systems must be flexible enough to rapidly optimize production and other business processes, as well as supply chains. Based on SAP Business One, the solution supports companies in the plastics processing industry with industry-specific functions. Easy integration of subsystems like CAD/PLM, PLC, etc. SAP® Business One for Engineering, Construction, and Operations provides enterprise solutions that span the project and facility life cycle to help increase your visibility into everything from timelines to bottom lines. Every project goes through the basic phases: setup, execution, and handover. Hopefully, each phase unfolds just as you planned. But can you adjust those plans quickly? When situations change, can you track the ripple effects throughout the project, catching unforeseen issues before they become surprise problems? Are your decisions based on information gathered from both headquarters and the field? Your company’s success is based on your ability to quickly track and access information about previous and current projects – building plans, supplier and employee performance metrics, and old customer quotes – as well as information for future growth opportunities – new contractor data, new service or maintenance opportunities beyond the build phase, and customer referrals and testimonials. You may know where all of this information is kept, but SAP Business One can help you get to it, fast. In an industry where companies are only as successful as their most recent endeavors, it makes sense to strive for transparency, speed, and cost-effective responses on every project. SAP Business One helps increase your profitability with visibility into each project and across the entire organization, helping you get the most from your resources and deliver your projects within scope, on budget, and on time. To handle multiple projects, sites, and business lines; numerous suppliers and subcontractors; and your own labor and equipment, you probably have a variety of systems and business applications in place. SAP® Business One for Engineering, Construction, and Operations (EC&O) provides the applications and platform to integrate your IT landscape and produce a central resource of consistent company information. With over 30 years of experience in your industry, SAP offers preconfigured solutions based on EC&O best practices, which you can then customize to fit the unique way you work. The benefits of integrated project data are multidimensional. Besides the ability to view project costs and schedules from any level to determine overall, real-time business and financial impacts, you can track CAD drawings, contracts, permits, and other vital documents. You’ll be able to compare projects side by side, taking note of successful practices in one project and implementing those same practices in other projects. You can allocate workforce resources properly, giving priority to those projects in the most critical phases. Integrated project management means your company has a firm hold on current data, has a clear view of the immediate future, and can build a history from which to learn. You can grow more profitable with every project, while you deliver on time to clients. SAP® Business One for Professional Services is an industry portfolio of integrated business solutions that connects the entire operation, enabling SME’s to more effectively manage both their finances and their client projects. The professional services industry is on the rise again. After several down years, clients are increasing their spending with professional services firms. Yet many firms rely on outdated and disconnected applications to manage their projects, resources, and operations. This lack of integration across the organization impairs visibility into operations, making it difficult to deliver projects profitably, both on time and on budget. SAP Business One helps firms operate more profitably by delivering solutions built with its deep industry experience in the professional services industry. With SAP Business One, you can increase visibility into your projects, maximize resource utilization, improve operational efficiencies, and acquire more profitable clients. With SAP Business One, you can solve your most important problems today and position yourself to better manage the challenges of the future. SAP Business One provides a complete, integrated solution with built-in industry best practices to help efficiently manage your critical business processes, including project management, project resource management, and time and expense management. As well as the advanced capabilities – including client opportunity management, service-level management, and knowledge management – that enables and enhance your unique competitive advantage. SAP Business One help firms decrease the order-to-cash process on project-based services by improving billing accuracy and by integrating project and corporate financials to streamline the recording of time and materials. With SAP Business One for Professional Services, firms can also maximize the utilization of their skilled resources by accurately forecasting demand and aligning billable resources with corporate objectives. 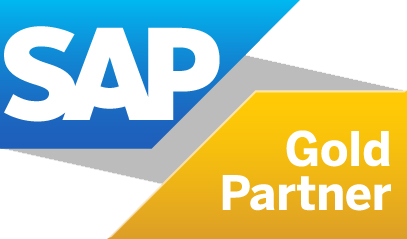 In direct response to the needs of professional services firms, SAP has developed preconfigured modular solutions that combine SAP’s industry-specific functionality (including project management, resource management, and financial management) with industry-standard best practices and a fixed-scope implementation. This enables SMEs to easily take advantage of the benefits offered by SAP, leveraging the knowledge and experience SAP has gained from working with many of the world’s leading professional services firms. These preconfigured solutions and implementation services are also designed for predictable time-to-value and affordability, and they are available to license and deploy over time on a stepwise basis. With SAP Business One for professional services, firms can perform all core activities related to analytics, financials, human capital management, corporate services, and operations. SAP’s collaborative solution allows for efficient project planning and execution, ensuring that deliverables are clearly defined while leveraging knowledge gained in past engagements. Improve profitability without compromising safety or efficiency. Our mining industry software helps companies in their digital transformation from pit to port – from exploration and asset management to ERP, EHS, and customer engagement. Synchronize commodity management with supply chain, mining operations, and risk management – for higher profits and reduced financial and operational risk. SAP Business One covers the full spectrum from the basics of rent collection, integrated accounting and customer relationship management to strategic asset management for property / real estate portfolios. It offers fully integrated and real-time debtors, creditors, cash book, general ledger and financial reporting. Its extensive scope includes rent collection, space management, lease management, facilities / maintenance management, customer relationship management (CRM), asset register, budgets and asset management. On an operational level, it ensures that the right amounts are billed and collected at the right time. On a strategic level, key performance and investment indicators are highlighted. Designed around the business processes of successful property organisations. The processes range from a day-to-day operational, through ad hoc / periodic, to the strategic level processes in the bottom section of the menu. Automated billing from lease agreements. Sophisticated operating cost apportioning using distribution rules. Electronic capture and billing of electricity and water costs. Calculate and bill turnover-based rental. Bulk email of tenant statements. Easy CRM integration with MS Outlook for updating of contacts, calendar items, tasks and sending emails. Integrated Customer Relationship Management (CRM) to manage ad hoc tasks/issues and actions of a non-facilities management nature. Automated accounting for fees and commissions in the books of the managing agent. Fully customisable report writer for Income Statements and Balance Sheets. Comprehensive facilities management, including – recording of jobs, generating quote requests and orders, and order to invoice matching. Powerful reconciliations of cash books, tenant deposits, expenses to recoveries, unmatched work orders, etc. High level key performance indicators with drill-down capabilities. Comprehensive budget and projection tools with no limitations, but with controls for finalised and revised budgets. Analyse risks and opportunities of your property portfolio from a strategic level. The utilisation of Microsoft’s SQL Server database ensures data integrity, scalability and unlimited number of users, automated roll-back of failed transactions. Advanced credit control, including automated late payment interest and penalty charging and letters of demand. Tight control of space and leases supported by comprehensive schedules i.e. tenancy, vacancy, diary, check lists etc. Electronic payment of commissions, suppliers, landlords etc. Advanced Accounts Payable functionality including open-item, order matching and direct recovery of operating costs from tenants. Generate cash flow statements and rent rolls at any stage for any period range. Automatic calculation and billing of commissions, management fees, bank charge recoveries and interest on overdrawn accounts. Totally integrated and real-time General Ledger. Powerful special journal facility for recurring, reversing or importing batches. Easily determine replacement cost values and manage insurance. Import bank statements electronically for Cash Book Reconciliations. Integrated Asset Register with automatic generation of depreciation, scrapping and disposal transactions. Facilitates methodical approach to new business opportunities emanating from existing tenants, prospective tenants, brokers, landlords and the properties themselves. Monitor trading turnover patterns, comparable trading densities and automatically calculate turnover-based rental. Advanced security controls with flexibility to ensure that users have the necessary level of access to the required processes and properties. Integrated document management for storage of documents/pictures.